The Turk 5 Piece Game Table Set is a 3-in-1 game table that consists of a convertible table with poker and bumper pool. Includes four rolling chairs. 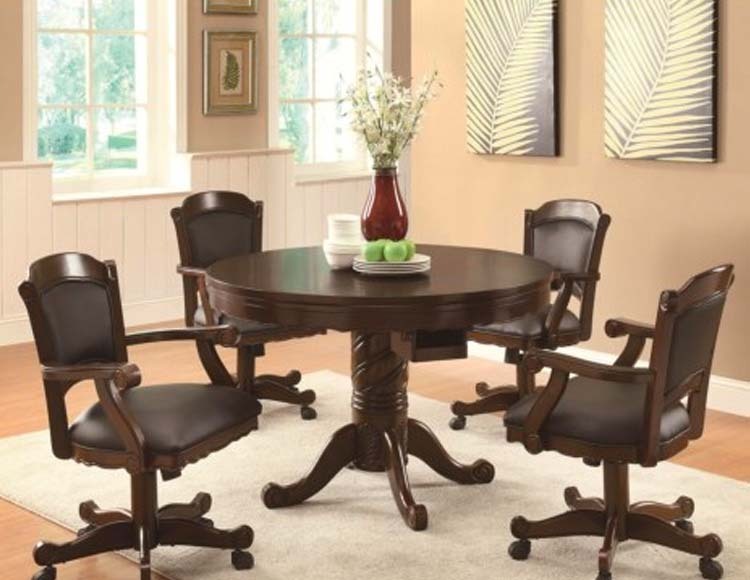 This round table has smooth oak table top above a scalloped apron, perfect for dining and snacking. The wooden top can be converted to a poker table. This will add both fun and beauty to your traditional style home.